There is an opportunity for the following Training on Good Friday 19/04/2019 at Glenmaggie. This training is for Juniors who currently hold an MA Licence. The training will be logged into your Junior Log book and go towards the 5 hrs required per year to uphold an MA Licence. It will cover basics and intermediate skills depending on the level of participants. 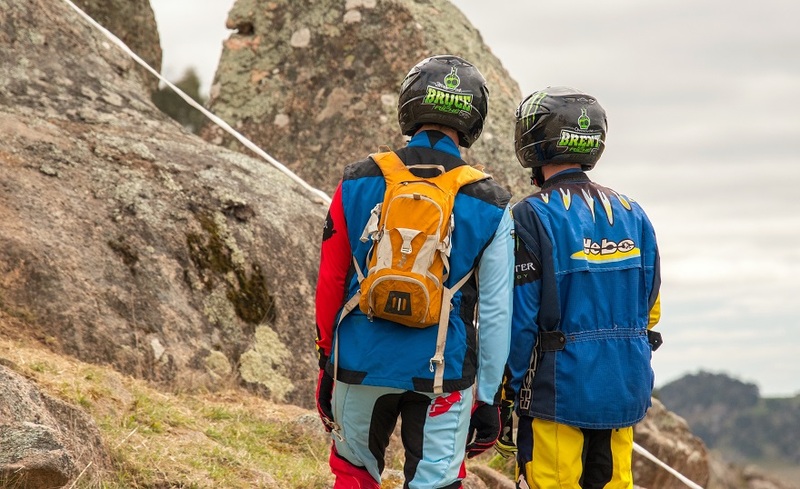 For this, training juniors will need to be riding an appropriate bike for their level. No greater than a 125cc. Bikes shall be fitted with Lanyard Kill switch. You must be entered in Juniors in the Glenmaggie Trial to be eligible for this training. Junior parents will need to assist in looking after those juniors that are very new to motorcycles and they will need to sign and indemnity form. The observer is the official (or Judge) on a on a Trials section. This is a great way to get involved. This training is aimed at people new to trials observing who are considering getting involved. This will give you the basics and the opportunity to ask questions. If you do go ahead and do a day’s observing, you will be provided with lunch and a lot of great entertainment. Spaces are strictly limited for the Junior training. 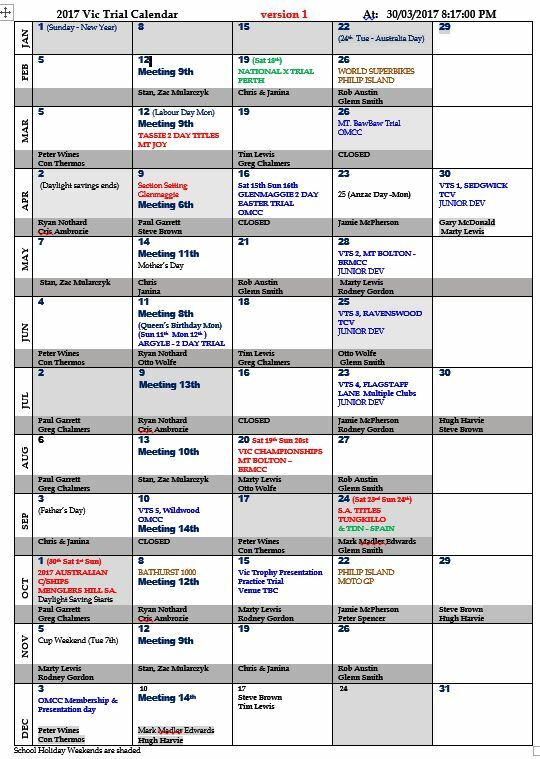 Please let us know if you are interested in any of this training by email to mularczyk@outlook.com.au before 15/04/2019 stating your interest. If you have any other questions relating to the training, please do not hesitate to ask. 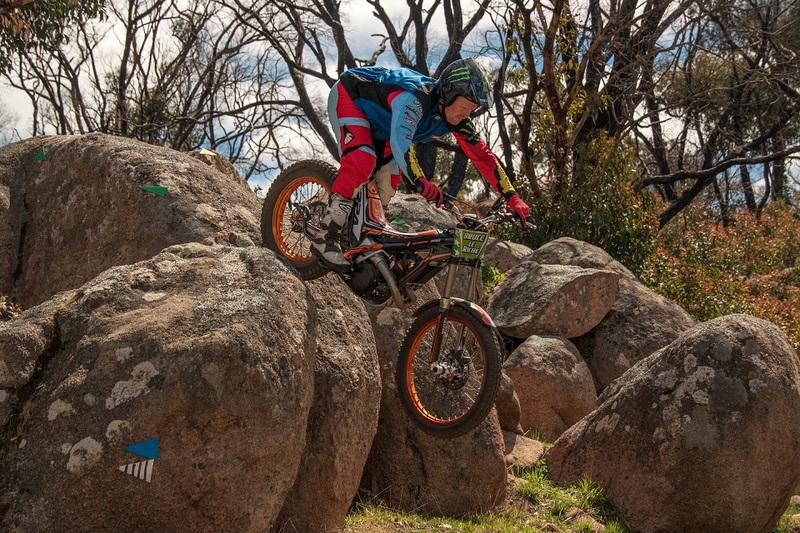 The Victorian Trial Series Round 1 is back on at Mt Baw Baw on Sunday 17th March. Get your entries in for the opening event of the season. This will be the first event to debut the new Trial grading system being adopted in the 2019 MOMS. Accommodation will once again be available along with the restaurant which was well received last year. Accommodation tends to book out quickly so make sure you have got it organised in advance. Just as a reminder, can entrants please ensure they have entered online prior to the event with all their relevant memberships and licenses are up to date. 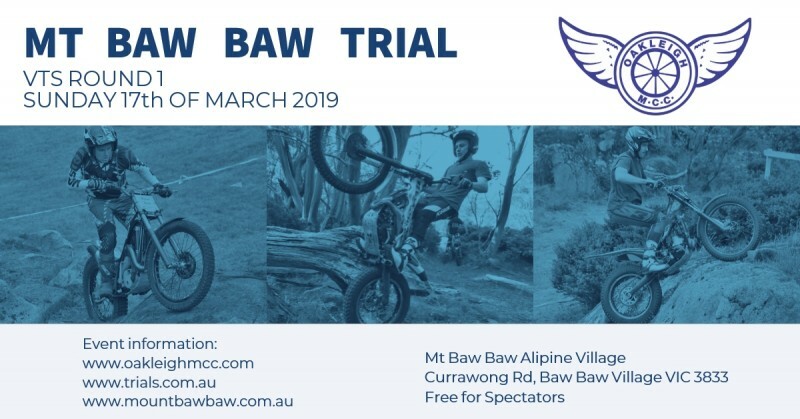 Mt Baw Baw Trial – Rescheduled to March 17th 2019. 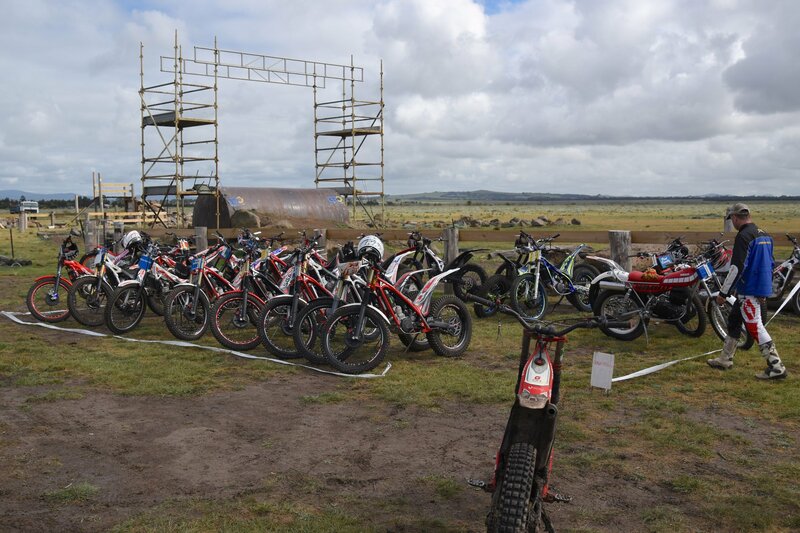 The event was due to take place this weekend, however due to bush fires which are currently burning in the area, a decision was made to postpone the event. The event will now take place in March 17th. Updates Supp regs and online entries will be up soon. Due to the Bush Fires in the vicinity of the Mt Baw Baw Ski Resort, it has been decided to postpone the trial to another date and maybe another venue. Mt Baw Baw management have removed all personal from the mountain until Thursday before deciding on whether to allow people back onto the resort. 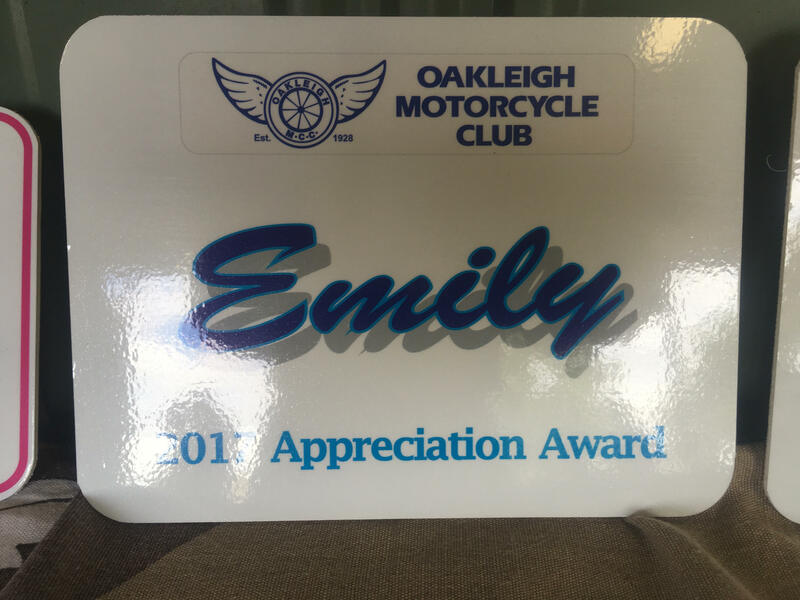 Oakleigh MCC didn’t want to inconvenience anybody who traveled long distances then being told the event won’t be held. If you are inconvenienced in recovering your advanced accommodation costs, please contact Chris Grubb so we can discuss it. We will also decide on the best way to reimburse the entry fee costs or use it for the re-introduced date. Although the supp regs didn’t have a separate Juniors class, it has been re-introduced for the VTS series. 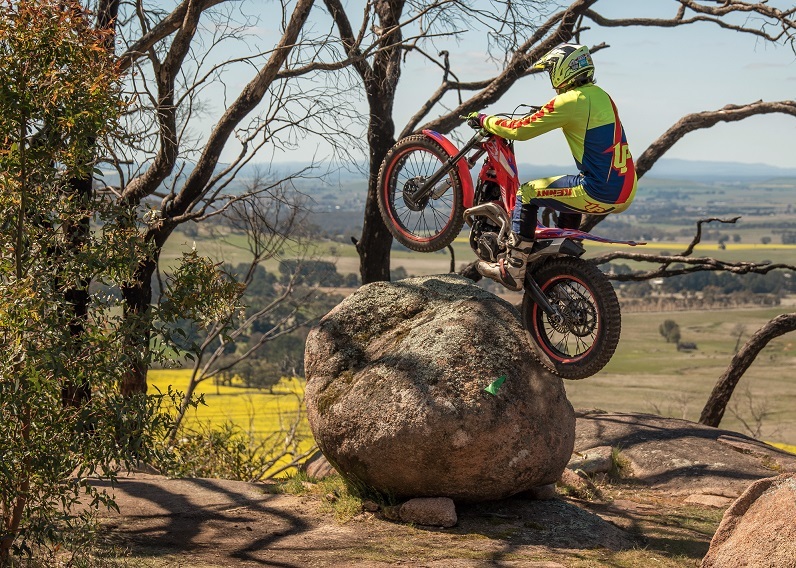 The Oakleigh Motorcycle Club will once again be holding a trial at the Mt BawBaw Alpine Ski Resort on the 3rd of February 2019. 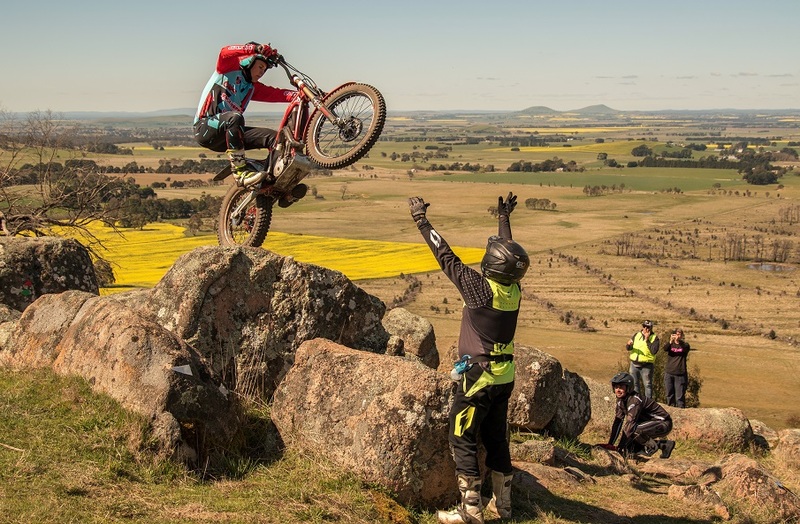 This trial will now be the first round of the Victorian Trials Series for 2019. Supp Regs and accommodation details will be available shortly, once they are open a follow up email will be sent. Sunday the 16th was the annual Membership Renewal and Presentation Day at the club grounds. 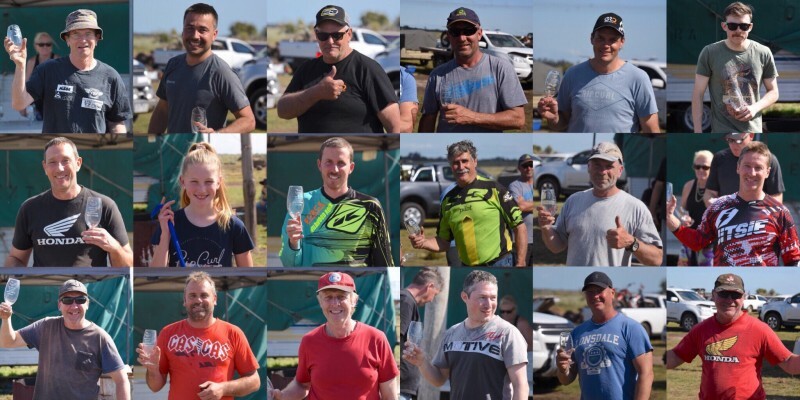 Plenty of people turned up to renew their membership for 2019 and were rewarded with a great day of riding before the soakings rains hit late in the afternoon. There were a number of awards given out this year, recognizing both efforts towards the sport of trials and some memorable moments. First award went to Stan Mularcyzk, who received the coaches award. 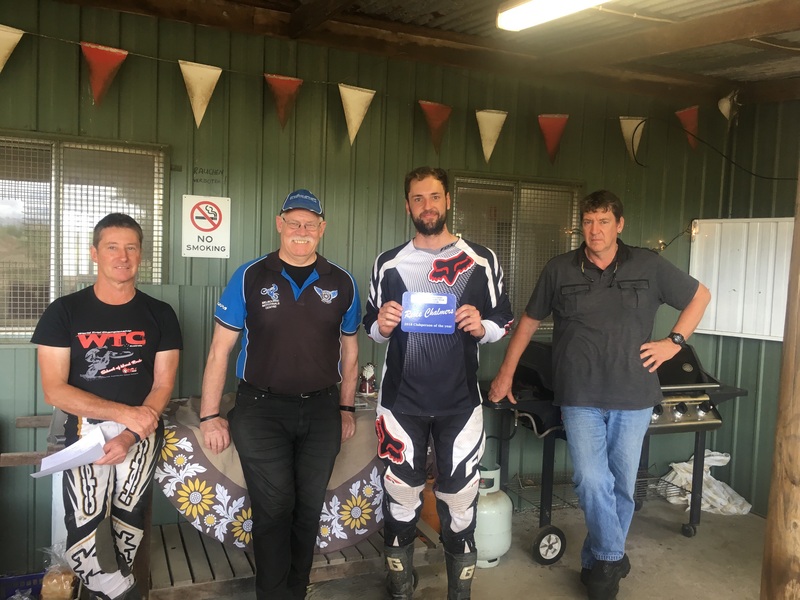 Stan recently undertook a course provided by Motorcycling Victoria for motorcycle coaches. Stan has already run a few training sessions at the club grounds focusing on developing junior riders. This award hopefully offers some recognition for Stan’s efforts. Well done. The next award went to Sean Collins who received the ‘Car Park’ award. The ‘Car Park’ nickname was assigned to Sean after being left at the Mt Baw Baw car park, waiting for other club members to come and grab him for. Lets just say that Sean was waiting around for some time whilst the others were out on a ride…. Sean has also been getting involved at the club events and working bees, thanks for your efforts Car Park! Next award went to Sean’s son, Cameron Collins, who like his old man has been given an nickname, most likely against his will. Cameron was given the ‘Swampy Award’ for, well, falling into ‘the swamp’. The Swamp is the area just outside the club grounds which turns to slush in heavy rains. One ride, Cameron fell into the swamp and was covered head to toe, which was unfortunately not without its spectators… hence the nickname. 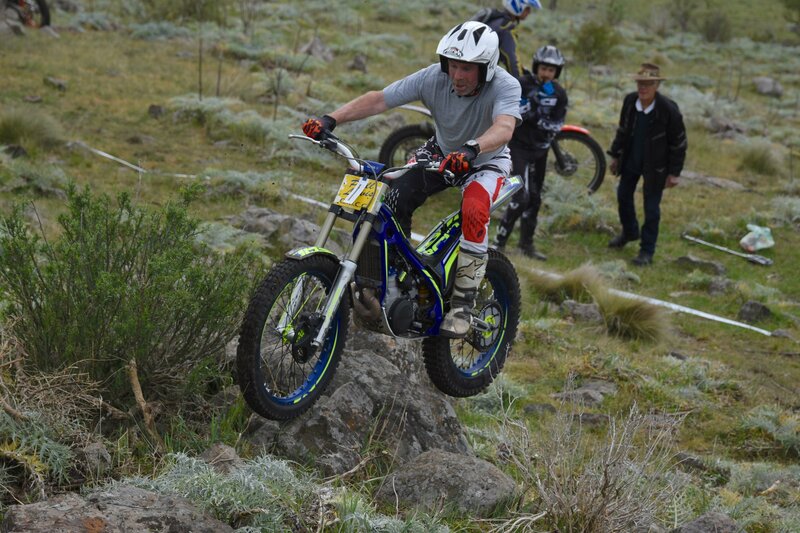 Swampy has been given trials a go with the old man and his skills are improving each ride, keep it up. 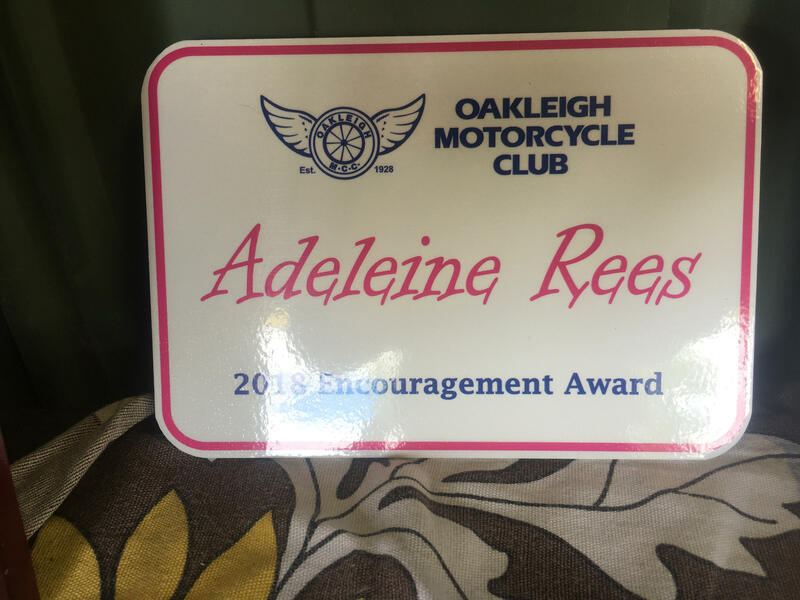 The next award went to Adeleine Rees, who received the encouragement award. 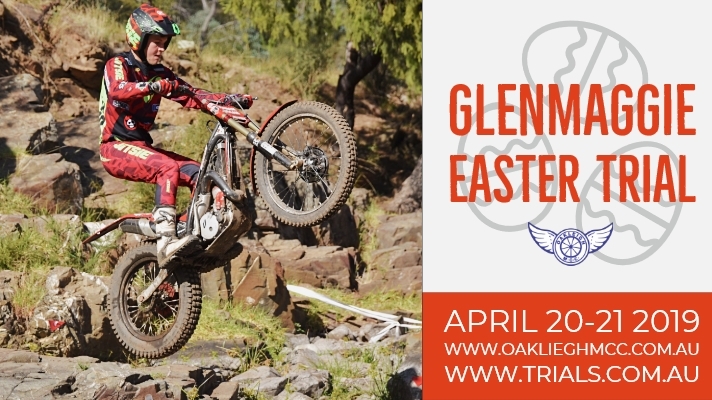 Adeleine has been joining her Dad, Dylan Rees and Grandfather John Rees in the trials circuit this year on her little Oset. She has been riding well and has a bright future with some very skilled coaches in the family. 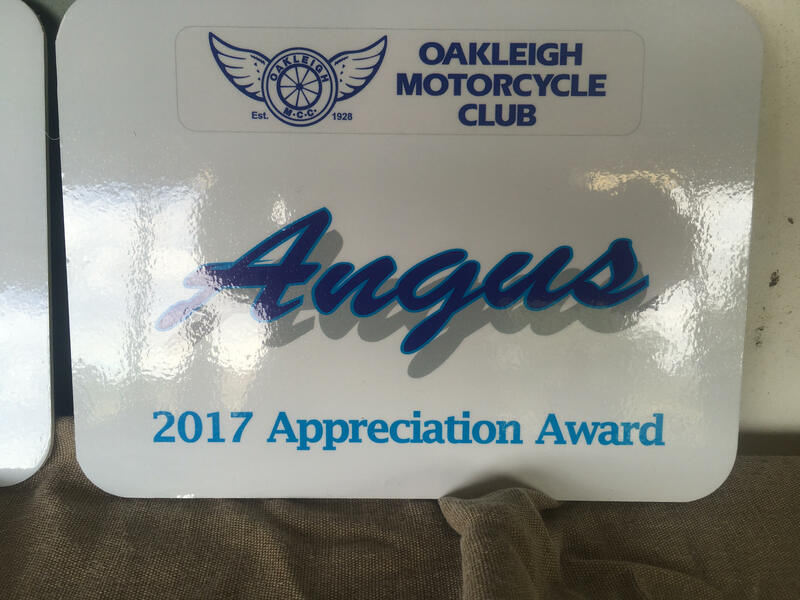 The Appreciation award this year goes to Father and Daughter Angus and Emily McIntyre. When the club has asked for observers for many of our event, Angus and Emily are the first to put their hands up. Both have observed at multiple events this year, including the VIC Titles and Aussie titles. Your efforts and contributions to trials is greatly appreciated. 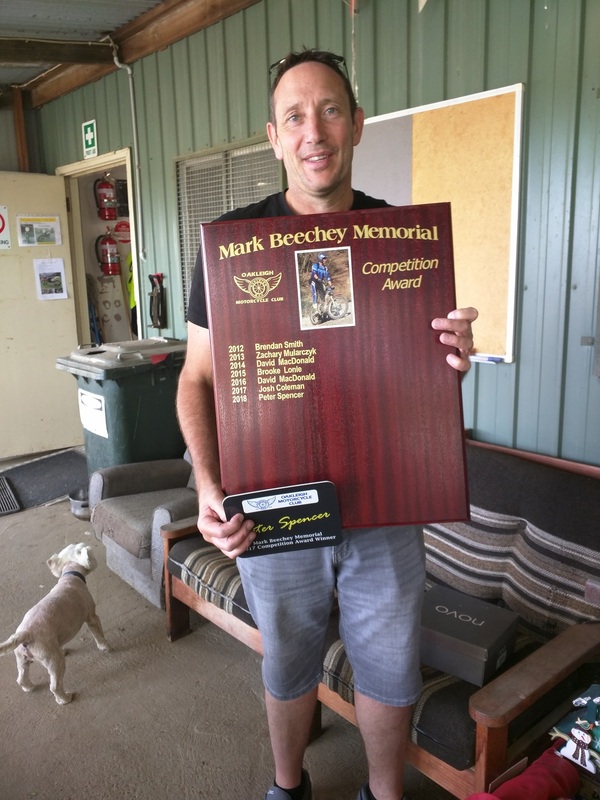 Peter Spencer took out the Mark Beechey award for the highest score across the VTS Series on the Honda Twinshock. Peter is also a regular contributor to the club, observing at multiple rounds and helping out working bees. Well deserved. Craig Genner was award the Graham Trownson Memorial Award. Craig has been a member of the club for only a couple years but since joining has gotten stuck into the meetings, observing, section setting and working bees. Craig hasn’t missed getting involved in any OMCC event this year and has certainly been noticed and appreciated. Well done Craig, thank-you for your contribution. The Club Member of the year award goes to Reece Chalmers. Reece has been actively involved in the club for the last two years, running the social media for OMCC. Reece is a regular at section setting and observing at events. Reece is also involved in a lot of the behind the scenes work, updating the OMCC website, organizing the temporary online scheduling for the hire bike, event promotion, taking photos at OMCC events, making videos and sending emails to club members. Lastly, a big thanks to all who gave up their time to get involved in the event or running of the club. We simply could not do it without you. OMCC looks forward to another big years of trials. 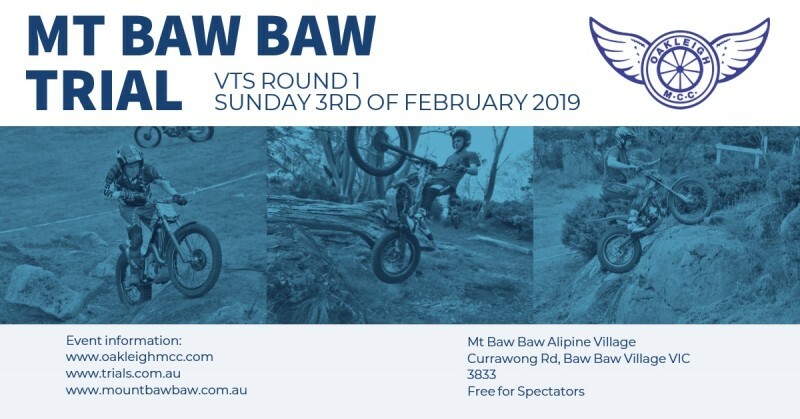 The first event will be at Mt Baw Baw on February the 3rd, now the first round of the VTS series. 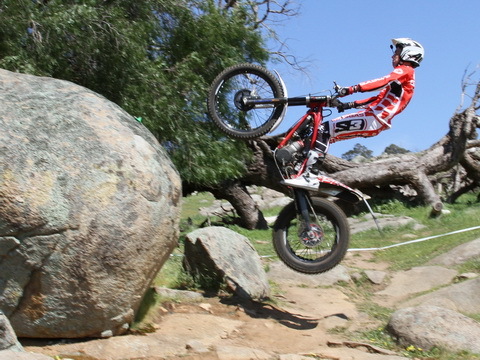 Congratulations for the finalists of the fifth and final round of the Victorian Trials Series. Saturdays soaking rains made the sections quite slick initially, but soon became dry as the sun come out for the rest of the day. Big thanks to our observers who give up their time to make our sport possible and a big thanks to the OMCC members who made today happen. If you wish to come and have a look there is free entry for spectators. Address: 227 Feehans Road, Wildwood, Victoria. 22 kms from Melbourne Airport. 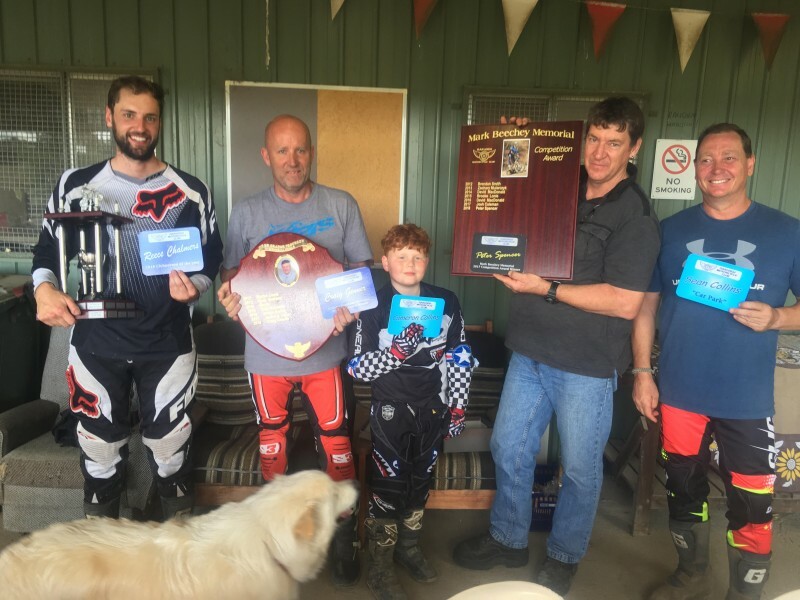 Oakleigh Motorcycle Club were very pleased with the great response for this year’s titles at Mt Bolton near Learmonth. 72 riders battled cold conditions on Saturday but sunny skies were well received on Sunday. 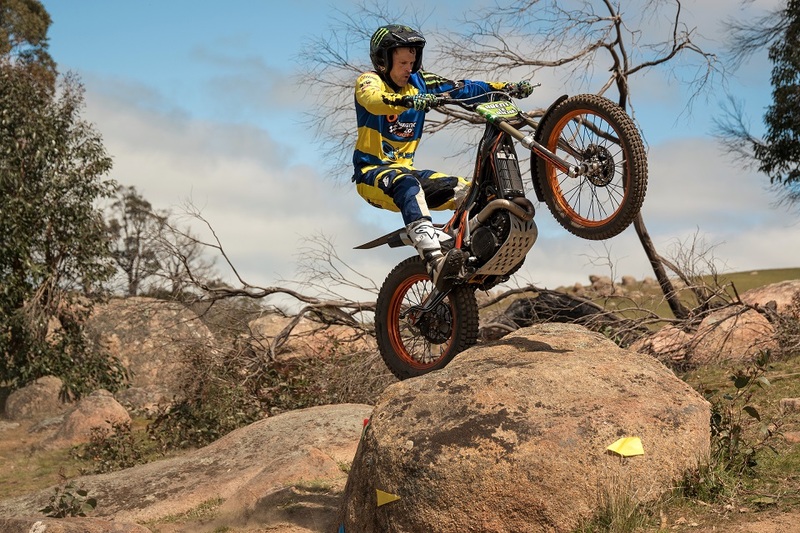 Looking at the experts results, Connor Hogan had one hand on the trophy right from the 1st lap and didn’t give his competitors any slack and ended up with his 1st win in the Vic Titles expert class. It wasn’t the same for the riders chasing behind with Chris Bayles, Brent and Bruce Le Riche from Sth Africa putting in some good rides also. 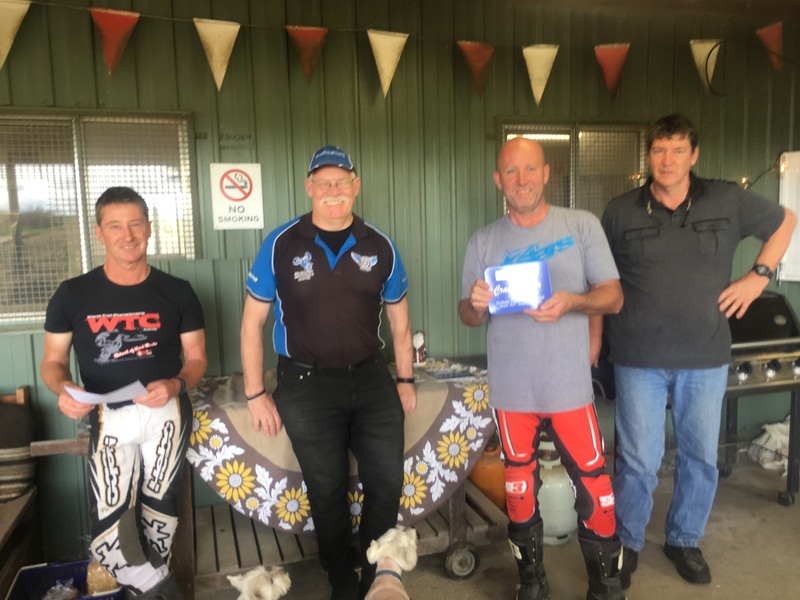 It was Chris Bayles on count back for 2nd and Bruce Le Riche taking 3rd both on 50 points. 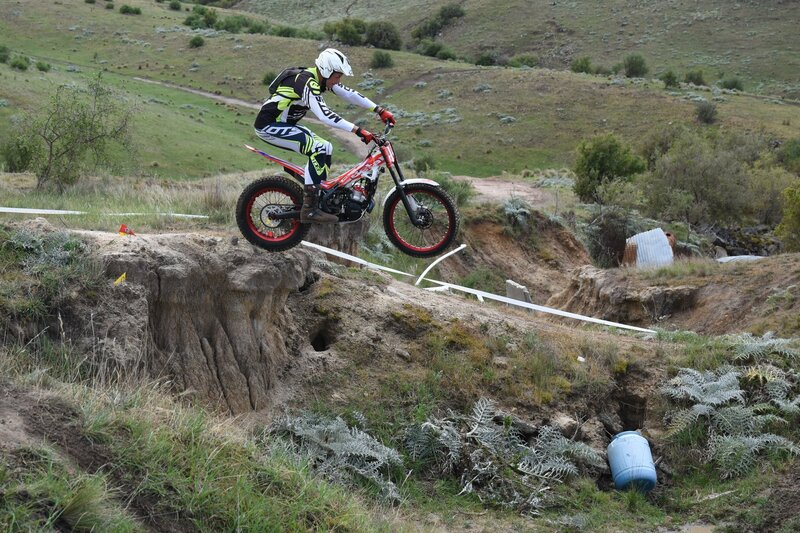 Brent Le Riche ended up 4th with only another 10 points behind and Zac Mularczyk taking 5th on another solid ride. 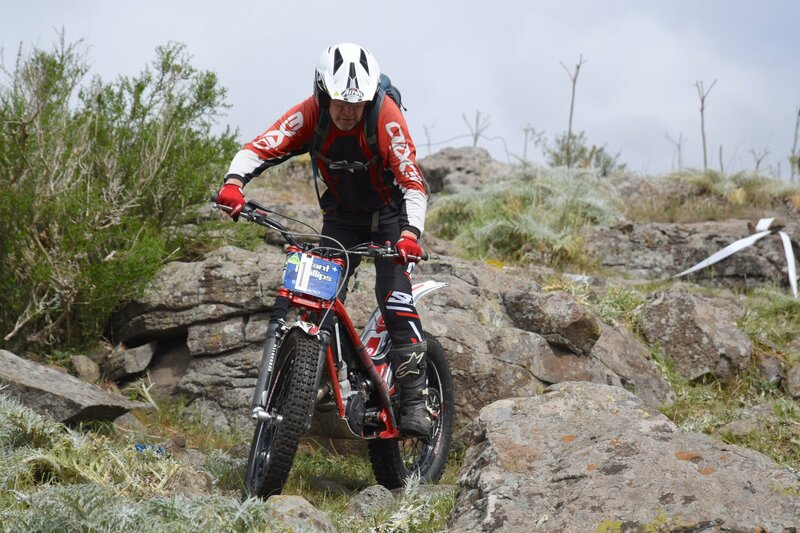 Unfortunately Dylan Rees twisted his ankle on Saturday and couldn’t continue on Sunday after putting in a great ride not far off the eventual 2nd place guys. Good luck to all competitors in next weekend championships at Sedgwick. 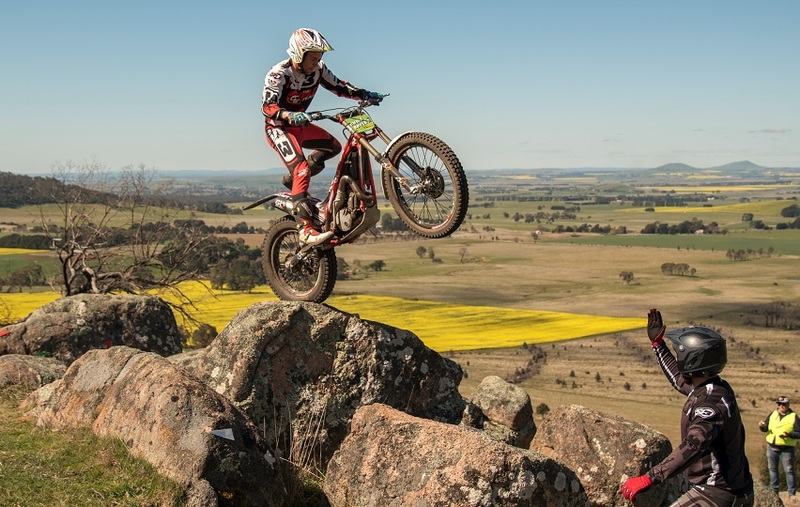 OMCC will be hosting this years VIC Titles at Mt Bolton, 30 mins from Ballarat. The titles will be held over two days with camping available from Friday 28th to Sunday 30th September. Catering on Saturday and Sunday. Friday practice time from 2pm to 4pm but only to those that have pre-entered and bike scrutineered. Section viewing also on Friday but no walking inside section boundary tape. With the Aussie titles the following weekend just outside of Bendigo it will be a great opportunity to get some practice in! You can find more details by heading to the Trials Australia Website.